Captured Minds Blog Tour and Giveaway! 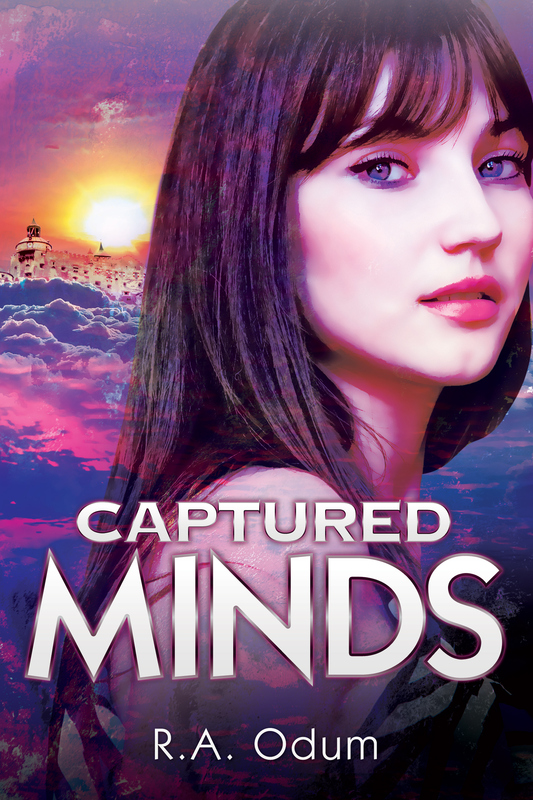 Welcome to the Captured Minds blog tour and giveaway by RA Odum! For the last decade, famine has had the thriving land of Zoar in its grip. With money and food dwindling, seventeen-year-old Raven Montgomery longs for something more than working in the library. Driven by her love of learning, she enters a competition hosted by the Other World, where she will test her knowledge in order to win supplies Zoar desperately needs. Before she can do so, Zoar’s ruler is killed, and hours later the Other World closes its door. Raven can’t believe the two events are connected. Yet, when she stumbles across Other World technology that holds classified information, she learns there may be more to the competition than meets the eye. Sure that her ruler’s death is somehow linked, she now faces the challenge of revealing the truth behind the Other World’s sinister ways before both lands are changed forever. The words blurred together and Raven Montgomery rubbed her eyes. No homework? No tests? She squinted at the tiny writing in the right hand corner. New York, it read. That’s in the Other World. Maybe it’s magic after all. On the bedside table, her mirror flashed green. She snatched it up and found a new message. She touched the screen, and the Ruler’s face appeared. Raven turned off the mirror and took in her wall-to wall bookshelves. In less than an hour, she’d gather with kids who owned as many books as she did. Today she wasn’t the lone girl no one understood, unable to control her need to voice the information running through her head. Bet everyone there can pick up one of their books and recall every single word of information on every page. She slowly moved to her chair and was halfway to the closet when her bedroom door opened. Her older sister, Kate strode into the room, already dressed in a white short-sleeved dress, a black belt around her waist. She’d pinned her long, straight red hair in a bun. What stood out most was the red lipstick, almost like blood next to her whitish complexion. Raven bit back a laugh. She looked like one of those women in the magazines she’d found in the attic once—perfectly put together. Raven’s giggle died, and she put on her signature pout, used only in the presence of her family. Since when did Kate care about looking her best? “And I don’t? Gee, thanks.” She glided her hand along the row of dresses. “I have no idea what to wear. Where’s Ava? She promised she’d help.” She usually threw on the first unwrinkled dress, much to her other sister’s dismay, but today was important. “Ava said to wear this.” Kate tossed a solid blue short-sleeved dress onto the bed. “Hurry! Mom said we gotta leave in an hour.” She patted Raven’s shoulder and walked out of the room. Raven peeled off her nightshirt and slipped on the dress. She ran a brush through her long, straight black hair, pulled it back into a high ponytail and dug out her heels from the back of the closet. With the folded application in her pocket, she made her way into the living room. Ava, Kate’s twin, sat on the couch with her best friend Maggie Tisdale,who was clad in her favorite red dress and black heels. Maggie’s long blonde hair wasn’t in its usual braid, but flowed freely down her shoulders. “There you are.” Ava said with a smile. “You both look beautiful. Blue is the perfect color on you. Brian says there’s already a line.” She wrapped her flowered robe around herself, her red hair in a messy bun—a far cry from the usual dresses, makeup and fancy heels she wore every day. Raven started for the door, but a sharp pain slicing through her temple and down her right arm and leg made her freeze. In all the excitement, she hadn’t anticipated pain this early. How stupid can I be? Mom will probably make me take my chair, too. Tears prickled her eyelids, but she refused to let them fall. She stood at Kate’s waist. People already jumped to conclusions. Raven sighed and put her arms around Maggie’s shoulders, their heads touching. There was no one else could she stand next to and not feel like an insect. Since Maggie’s family had moved in across the street four years ago, the two were inseparable. She was grateful every day to have someone to share her unusual height, brittle bones, pain that felt like needles down her legs and arms and headaches with. Not to mention the need of a wheelchair. I better not need it today. “Thanks!” Raven followed Maggie outside. At the end of the drive a carriage waited, its doors open. Brian, Ava’s fiancé, stood next to it clad in his green Guard’s uniform. His light brown hair was slicked back, a mischievous glint in his brown eyes. She took in the familiar scenes of the city as the carriage bounced down the street: people walking along the sidewalks past the one-story brown houses that lined the street on both sides, children holding hands as they walked to the schoolhouse, parents on their way to work. It wasn’t hard to pick out those that were turning in their application. People dressed up for the occasion. To have your name picked to take the exam was an honor, and everyone took it seriously. The square already swarmed with people when they approached the palace and the carriage stopped a few blocks away. The line ran down the sidewalk, past the diner and clothing store. The early morning breeze blew a strand of hair into her face as Brian lifted her out of the carriage. Once Maggie was down, the two linked arms and made their way to the back of the line. The sun radiated intense heat from a light purple sky, and Raven fanned her face. “I’ll see you shortly.” Brian waved and disappeared through the gate to join the other guards. The line inched forward and Raven could not hold back a grin. In a few short minutes they’d deliver their application. Raven gently took Maggie’s hand in her own. “You’ll be fine. We both will. We can do this.” The line started to move and she pulled Maggie after her. “Everyone, please hand your application to the nearest guard and be on your way,” a guardsman shouted. Murmurs floated through the crowd as Raven searched for Brian. He’d know what the announcement was about. He arrived by their side seconds later, his expression grave. RA Odum grew up and still lives in Georgia. Her love for writing and stories started in her grandmother’s attic and never stopped. Born sixteen weeks early and loss of vision in one eye, RA faces obstacles head on. From the time she was very small, she has had a host of characters in her head, screaming for their stories to be told. When she is not writing, she loves to spend time with her family, sing and read. 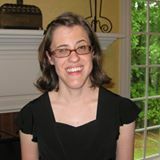 She also enjoys learning and teaching others American Sign Language. She hopes her novels will inspire and make a difference.